SACRAMENTO, Calif. (Diya TV) — State Superintendent of Public Instruction Tom Torlakson announced Thursday that the State Board of Education approve the History–Social Science Framework for California Public Schools, which will update and upgrade history and social science instruction in California. Leaders of the Hindu American Foundation also announced Thursday that important progress had been made in the effort to ensure that Hinduism and India are presented equitably and accurately in the aforementioned framework. Approved after a nearly two-year long process, the framework, with the input from multiple Hindu American community groups, parents and schoolchildren, now incorporates prominent mention of Hinduism’s pluralistic ethos, Hindu sages of diverse backgrounds, and the importance of the Bhakti movement. Lieutenant Governor Gavin Newsom presented the Board with a letter on July 11, urging them to adopt a framework that would “accurately portray the unique contribution of California’s diverse communities.” Newsom applauded the Board’s efforts to reinsert specific references to India in the framework, however, added that replacing references to Hinduism still left much to be desired. “The framework still replaces references to ‘Hinduism’ with broader and ahistorical terms, effectively erasing thousands of years of historical and cultural heritage, and diminishing the religion’s worthy contributions” Newsom wrote in his letter. “Moreover, history, no matter how painful, should be documented; however, negative social structures should not be discussed as inherit beliefs of Hinduism,” he added. Tulsi Gabbard, the first Hindu to be elected to the U.S. House of Representatives, sent a letter to the Board as well. 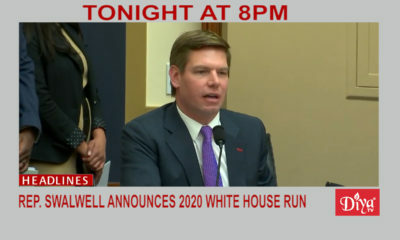 She applauded the efforts of the Instructional Quality Commission, just as Newsom had, but urged the Board to ensure the additional concerns of the Hindu-American community were addressed. 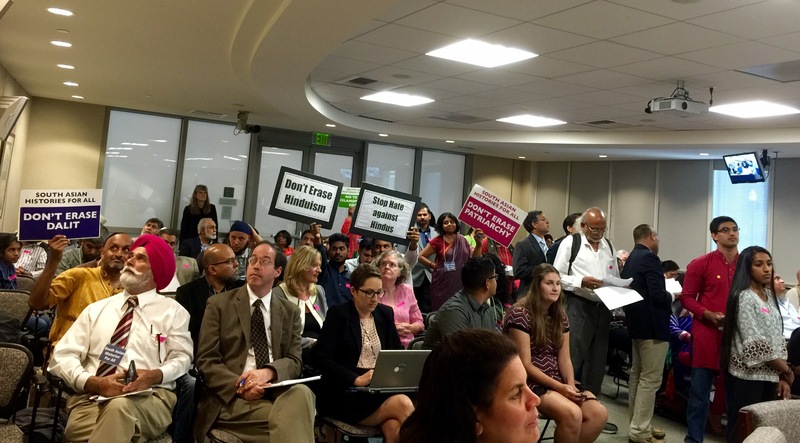 Hindu American Foundation’s senior director and Human Rights Fellow Samir Kalra voiced public disappointment after the Board could not be swayed to hear those additional changes requested by Hindus. “The Board showed much sensitivity to activists representing Islam and Muslims, by adjusting the frameworks slightly to show the religion in a more positive light,” Kalra said, adding however that the same sentiment was paid to the further discussion of additional changes for Hindus. “We only wish they had shown the same empathy when discussing further changes on the presentation of Hinduism,” Kalra said. Contrary to their opponents assertions, the HAF maintains that they have always acknowledged the existence of caste and caste based discrimination throughout the Indian subcontinent, and their submissions throughout the process reflected this fact. “Our edits only sought context, separating the social evil from the eternal teachings of ancient and contemporary Hindu spiritual leaders,” Kalra continued. Still, Kalra was satisfied that such blatantly false conflations comparing caste to slavery, or the varna system as a ‘caste pyramid’ remained discarded. 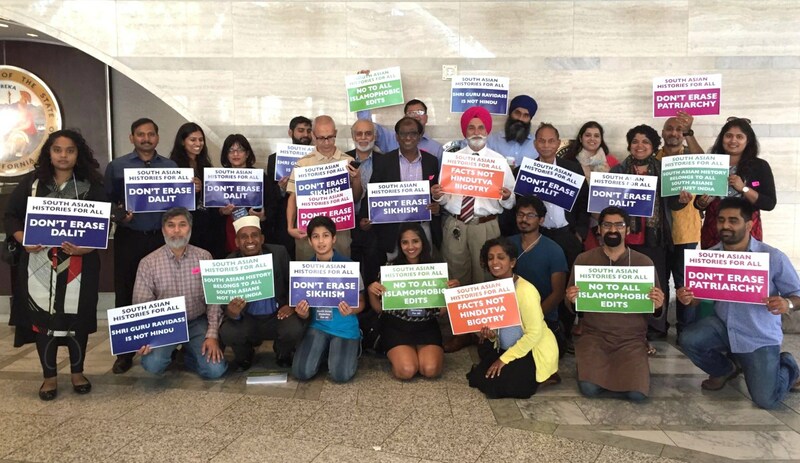 The Hindu American Foundation and South Asian Histories for All have seemingly disagreed on issue of caste — however both sides met with Diya TV for an exclusive conversation at the state capitol moments before the hearing in May and even though they came to an agreement, the issue of caste still remains a point of contention between the two groups. The Hindu American Foundation believes the discussion of caste should not be a defining characteristic of Hinduism, and that it should be proportionate to how other elements of Hindu and Indian culture are represented. 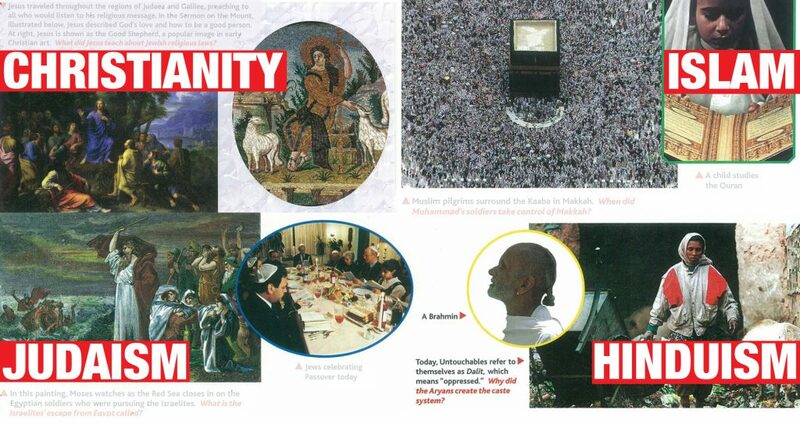 In addition, HAF demonstrated ‘Hinduism’ was singled out and treated unfairly and has not been dealt with equity, sighting images from current textbooks, showcasing how each religion from Judaism, Christianity to Islam are shown in positive light allowing students to feel proud of their roots. 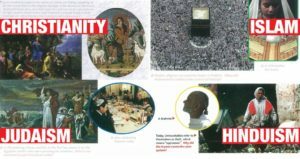 Classical artwork with images of families celebrating and sharing a meal over a religious holiday, in contrast, the images representing Hinduism show an impoverished Indian woman collecting trash and a priest looking away angrily. South Asian Histories for All however, believe that as Hindu Americans, there is an element of importance to be educated of all stories and cultures of South Asia. Some of that culture — the 200 million people who make up the Dalit population — are being erased from textbooks because of the HAF’s proposed edits, the organization said. Leaders from both the Hindu American Foundation and the South Asian Histories for All organizations plan to take next steps in shifting their focus towards the development and review of the new textbooks. This is being done to ensure that the agreed upon framework is represented completely and entirely. 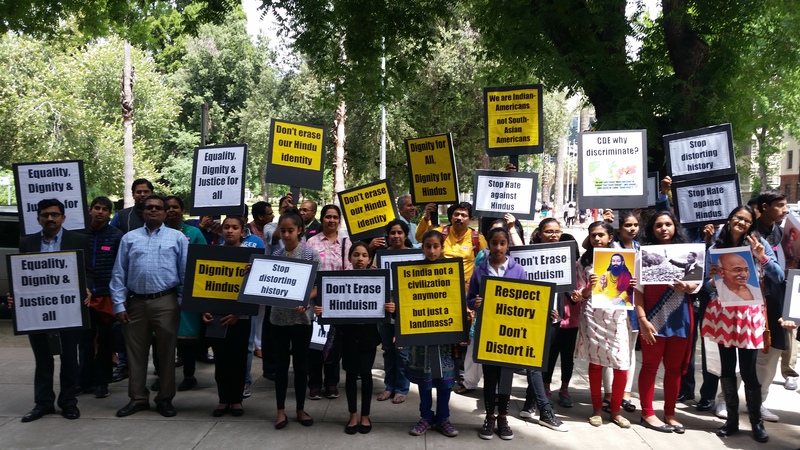 Both organizations have planned efforts that will seek to further educate California’s teachers to bridge the remaining gap in Hindu understanding and the adopted frameworks.